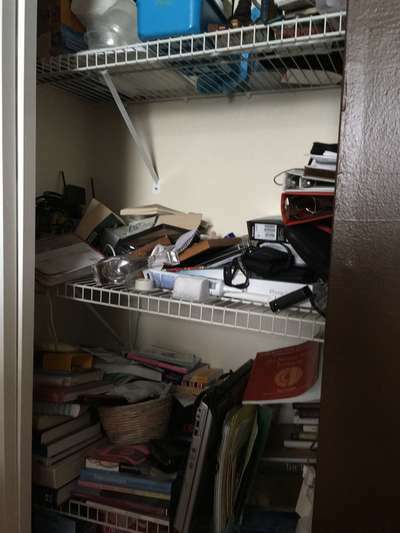 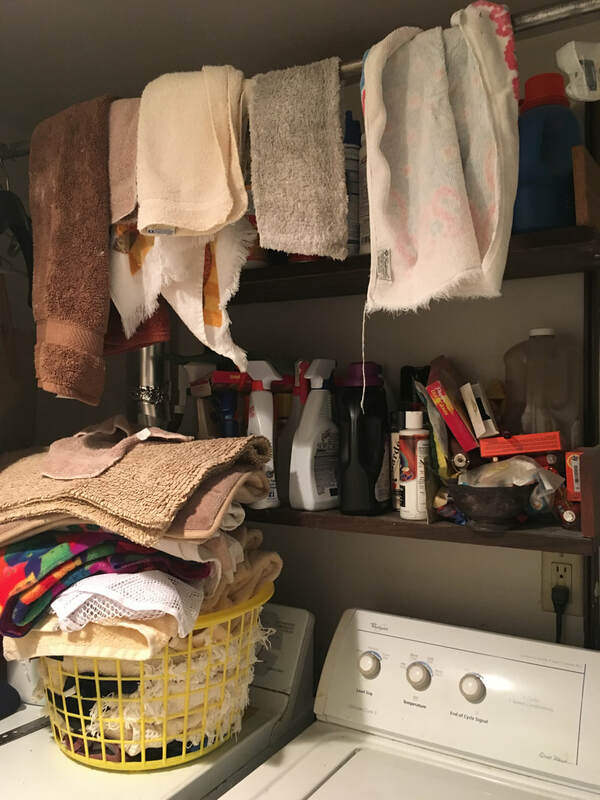 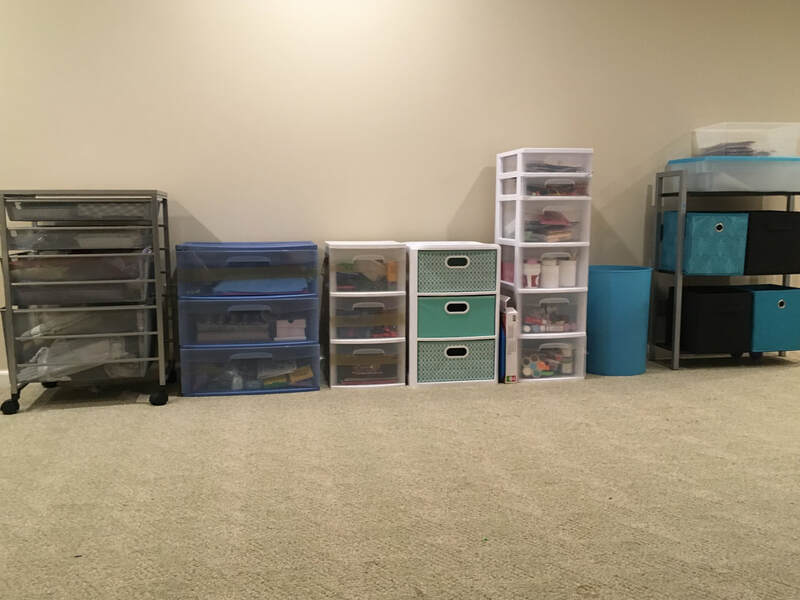 Check out some of our Before and After shots to see how Home Organizing Solutions 4 U can help organize your life. 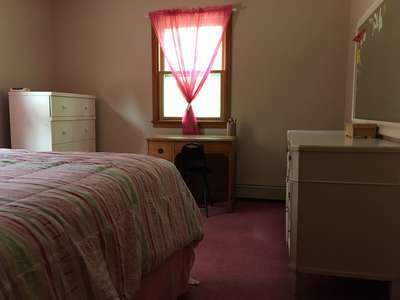 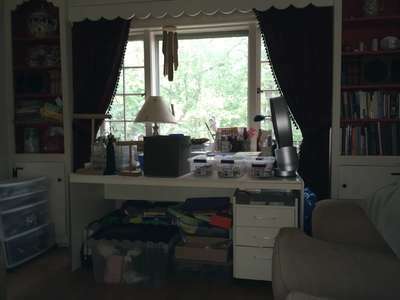 Shannon has a small condominium and her daughter has a lot of toys, craft supplies and books. 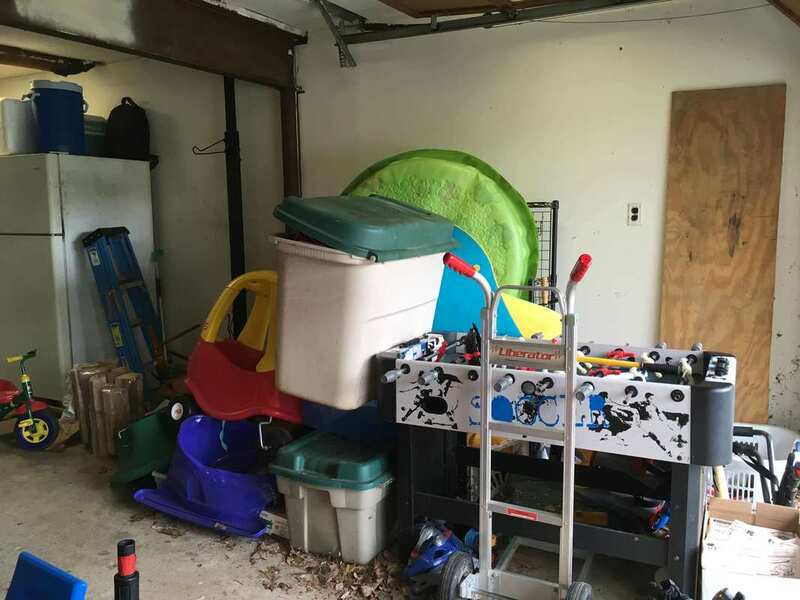 We discarded and donated all of the toys that Emma had outgrown and discarded many that were damaged or missing parts. When everything was categorized we put the art supplies in baskets and labeled everything to maintain order. Edna and David sold their home in one day and found an immediate opening in a retirement community in Montgomery County. 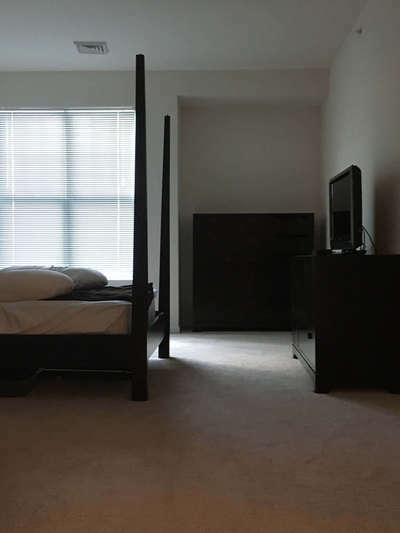 They needed to drastically downsize and only had two weeks to prepare for their move. 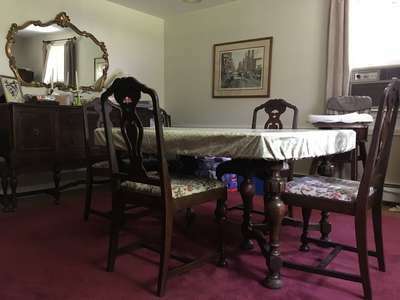 With over fifty years of accumulated possessions it took several sessions to prepare them for the move but they are now settled in their new apartment and enjoying exploring the area. 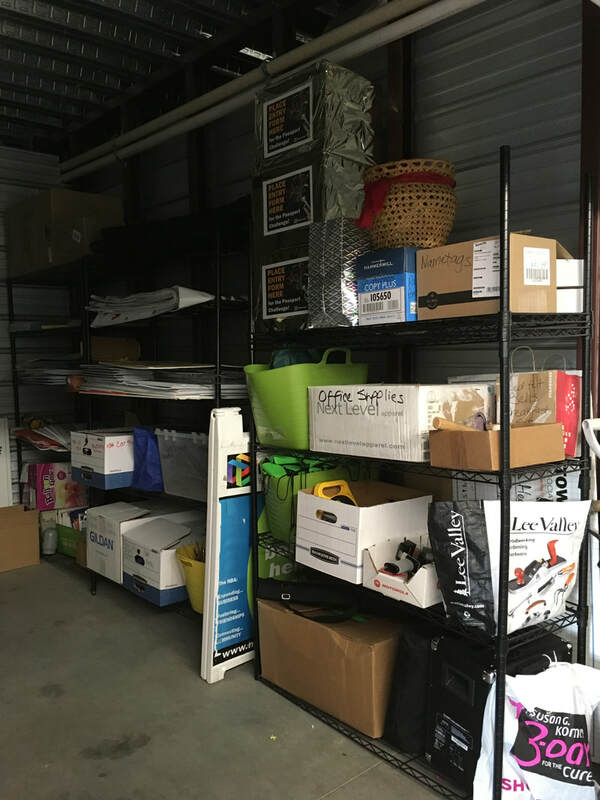 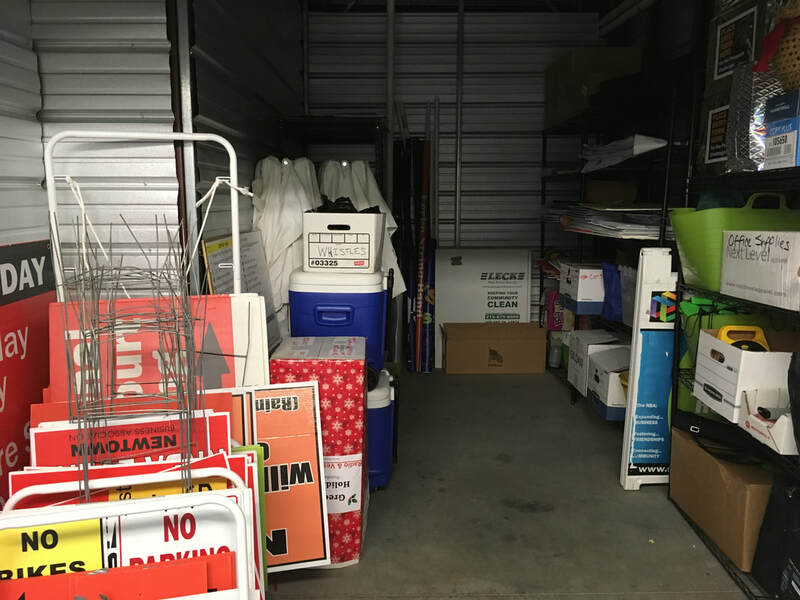 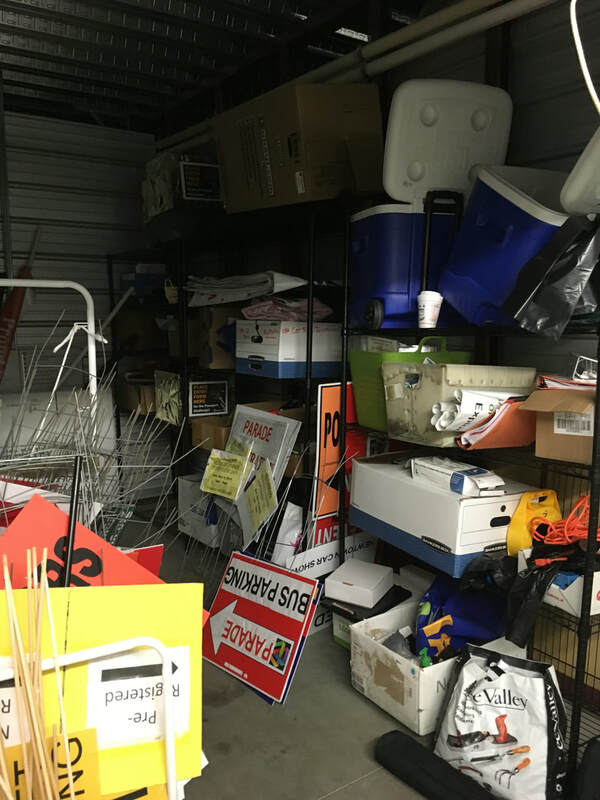 The storage area for the Newtown Business Association was a mess! 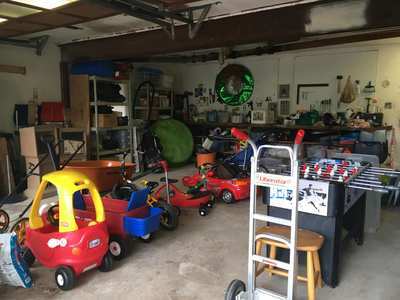 They sponsor major activities for the Newtown community throughout the year and the supplies for the parade were jumbled up with the supplies for the car show, Market Day, and The Easter Egg Hunt. 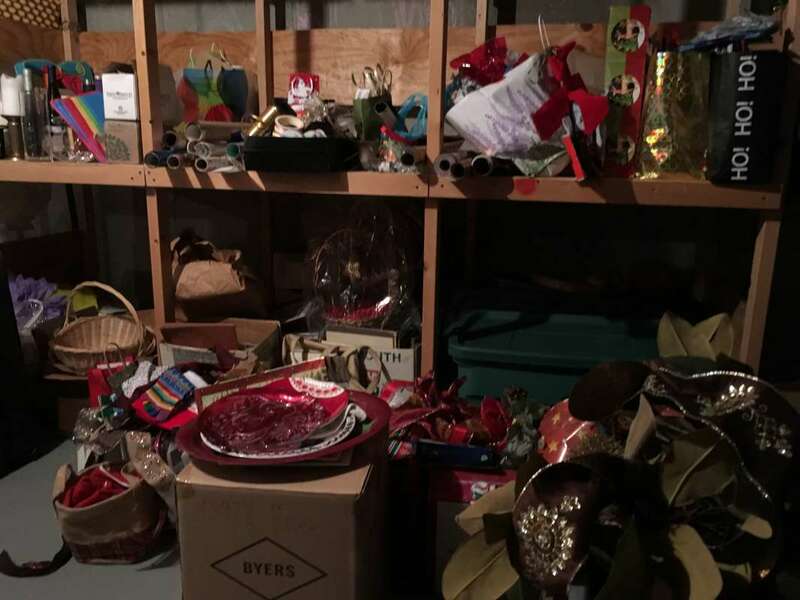 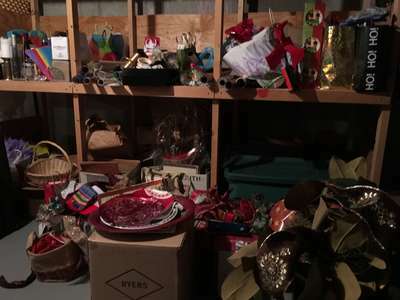 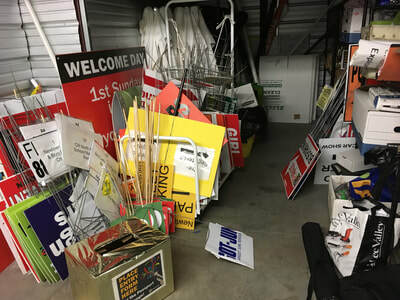 Damaged and outdated supplies were discarded and the parade committee was able to find everything they need for the parade in December. 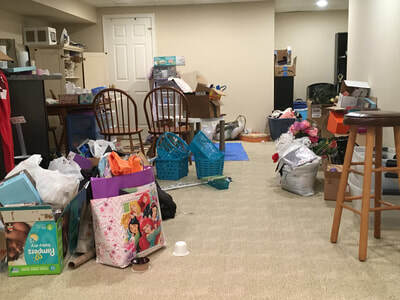 Kayla felt defeated because she couldn't find time to get her basement in order and when she did have a moment she would get easily distracted. 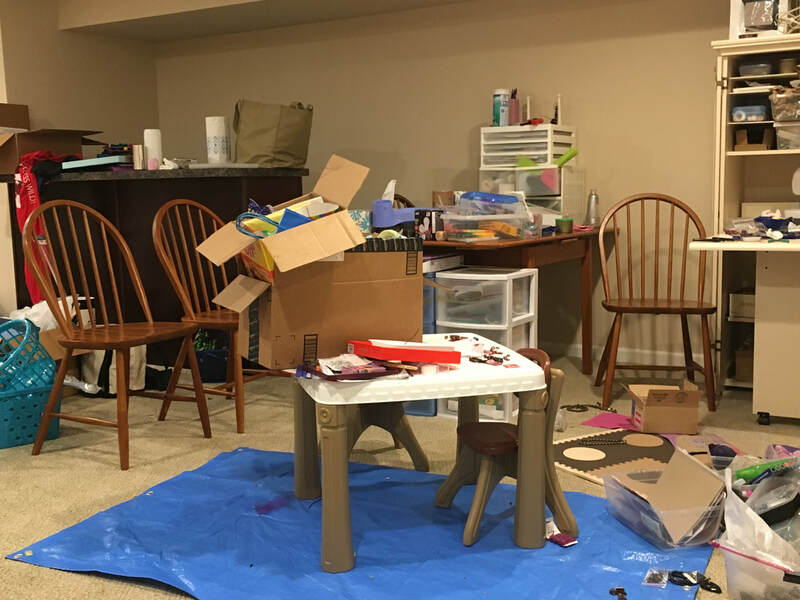 She loves to paint, knit, and make jewelry but her supplies were all mixed up with her daughter's supplies. After just a few hours of hard work Kayla expunged the clutter that dated back to her childhood. 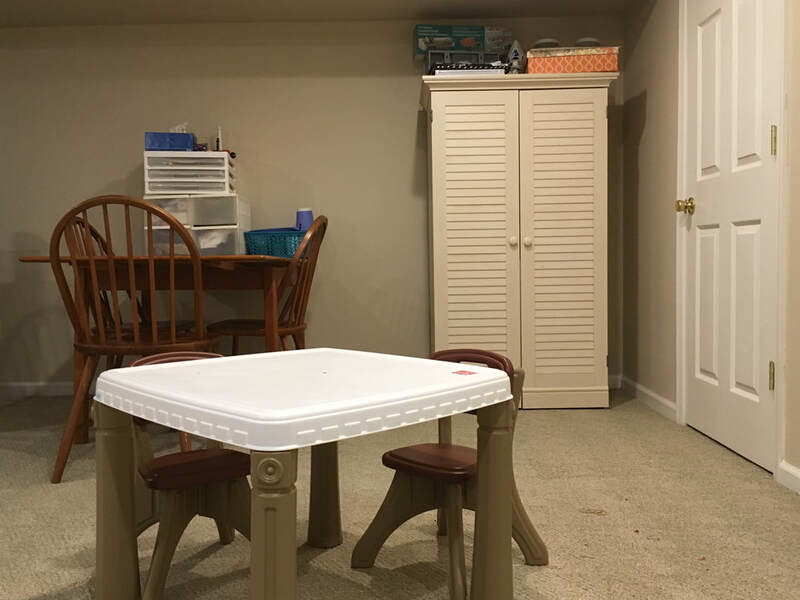 Now her children have a place to play and be creative and she has the luxury of a space to call her own to relax and unwind. 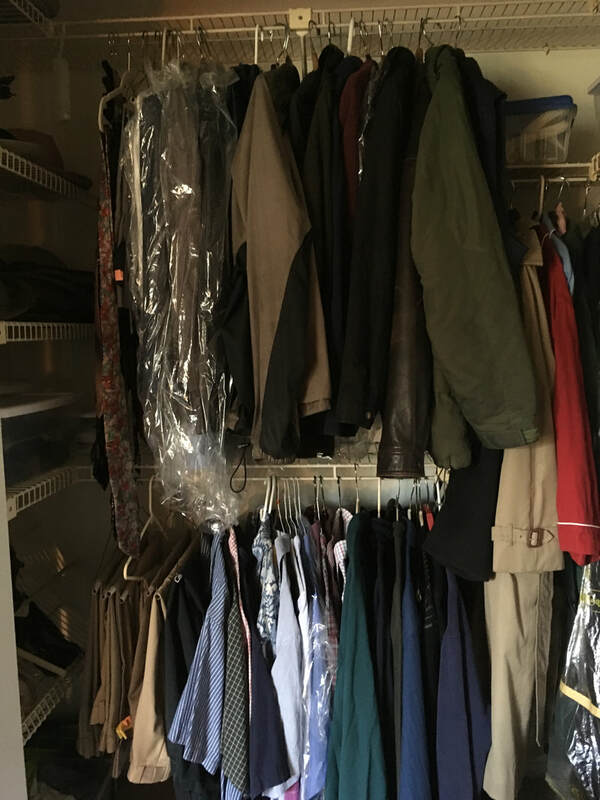 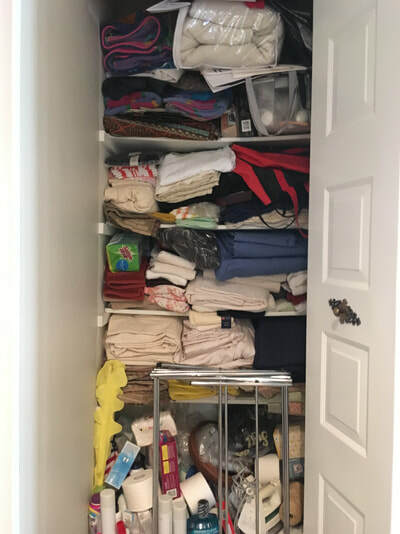 When Meredith downsized to a one bedroom apartment she had less than half as much storage space in her master bedroom closet. 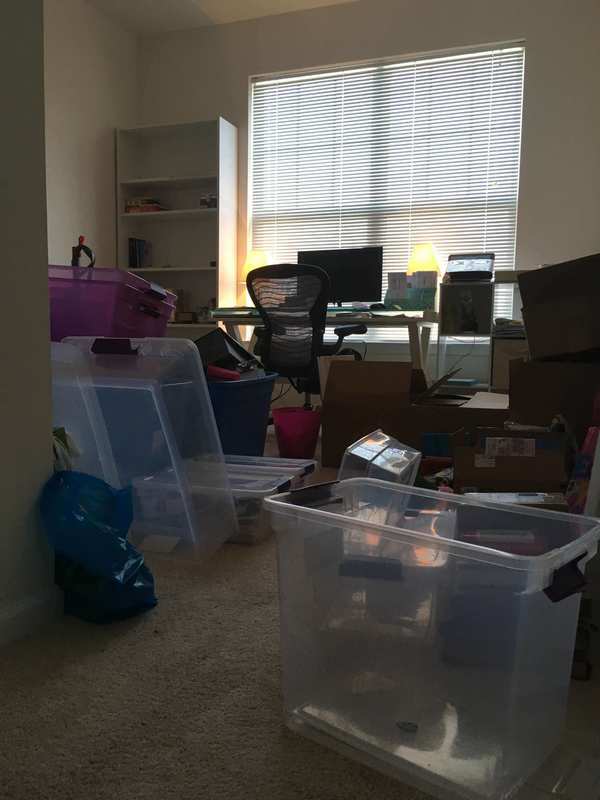 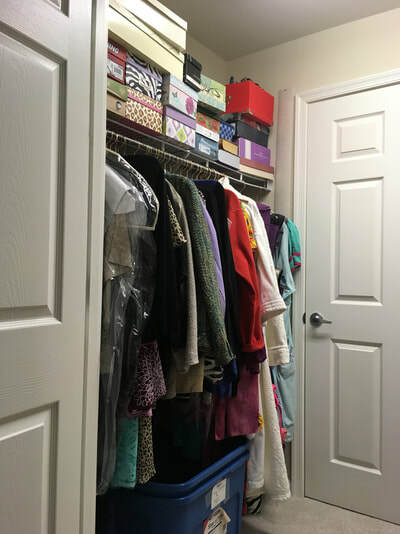 She had boxes and boxes of clothes and needed help setting up her dressers and closets. She knew she had brought more than would fit so Bobbie helped her decide what additional items needed to be discarded. 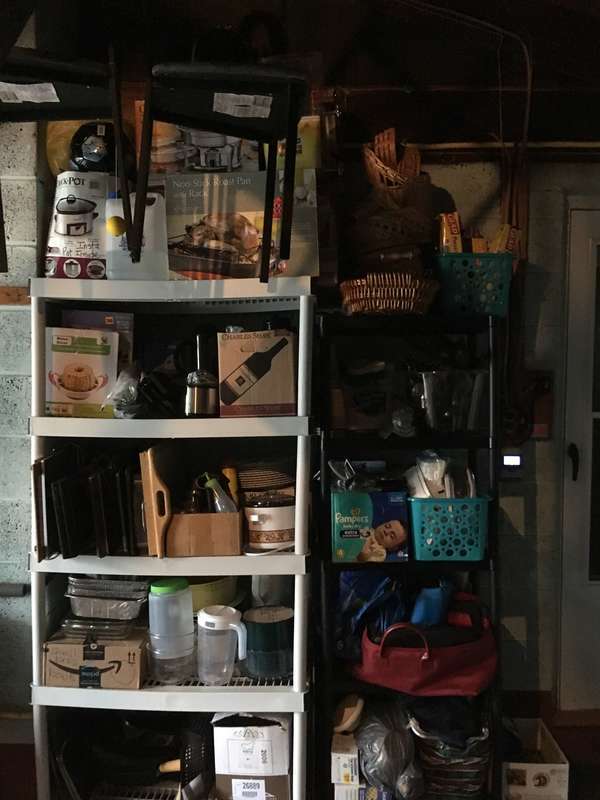 It was a tight squeeze but we made it fit! 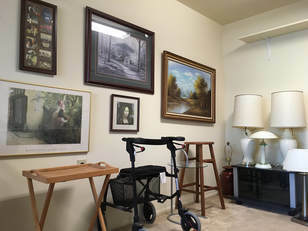 Meredith now feels settled and is ready to concentrate on making new friends in her retirement home. 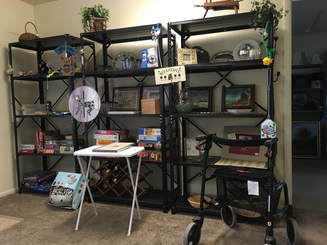 The thrift shop at Pine Run Retirement Community was in need of a face lift. 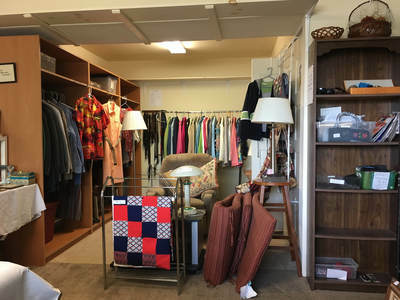 Merchandise had been sitting on the shelves for months so Bobbie re-orchestrated the entire thrift shop. 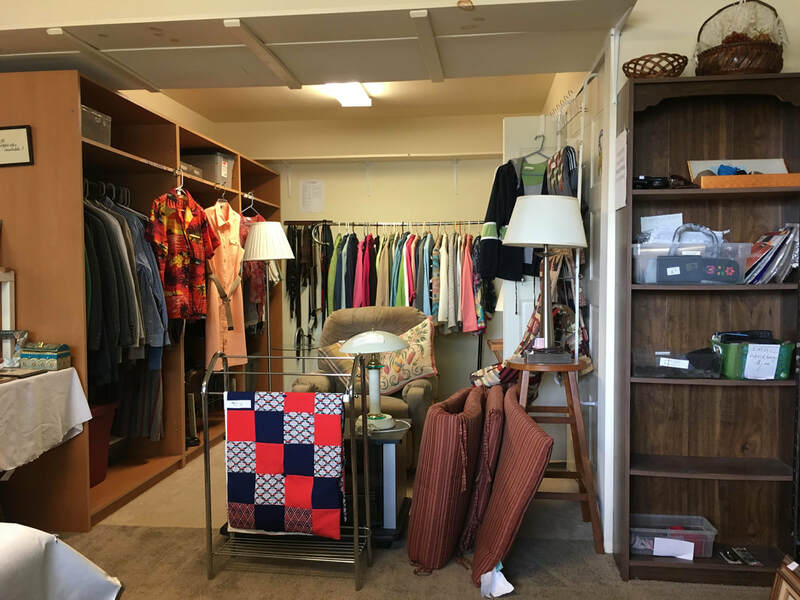 She moved the men's wardrobes to the main room to create room for furniture donations and create room to display the larger prints. 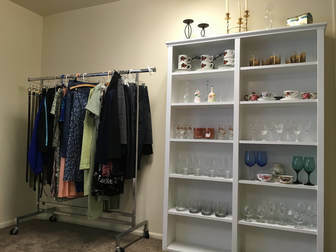 ​Bobbie created room for a clearance rack to keep merchandise flowing and replaced the black metal shelving in the main room with a white shelf to better merchandise the smaller decorative items.. She created a colorful focal point when customers enter the store Bobbie displayed the decorative plates and smaller prints. The Treasure Chest has a whole new look! Jen and her husband Patrick, have two young children and they each own their own business. They just didn’t have the time and energy to get the garage in order. 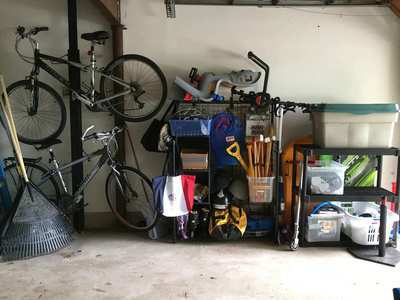 After just a few hours the toys are organized, the bikes are back on the racks and the workbench is cleared off. The lawnmower and wheelbarrow are also more accessible. ​Where's Waldo and where is the lawnmower? 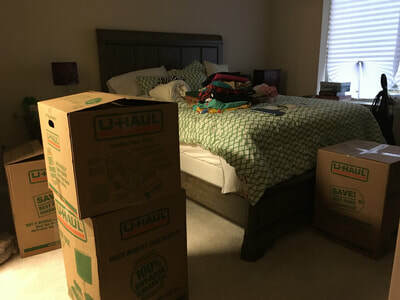 Shannon had been living out of suitcases and boxes for three months. 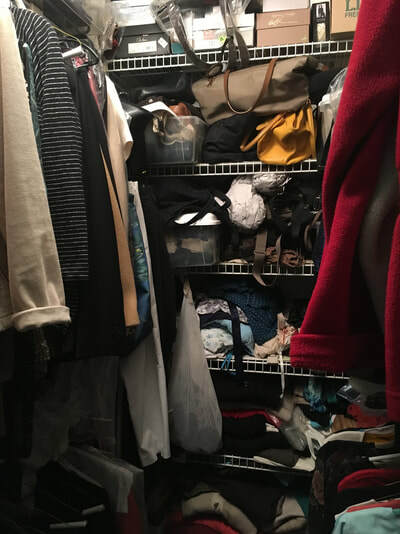 As a busy single mom with a demanding job she simply couldn’t find the time and energy to set up her closet and dresser drawers. 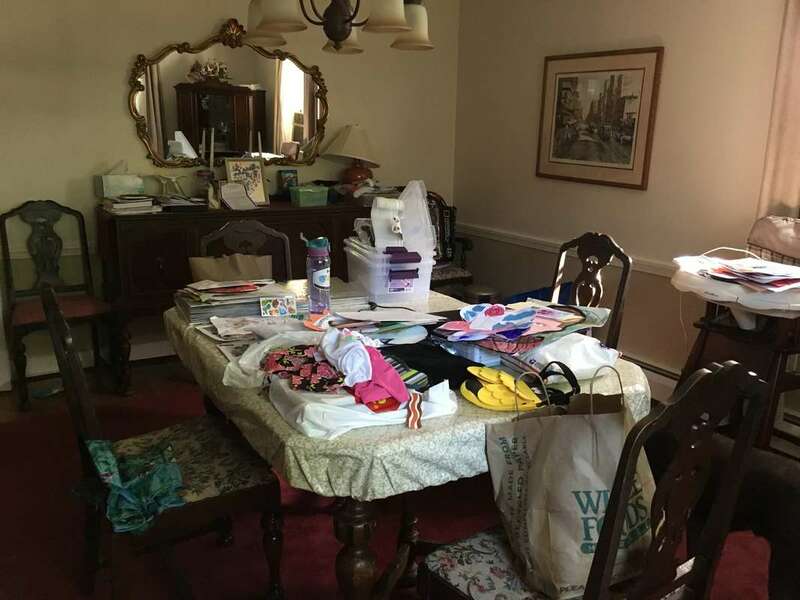 Then she saw Bobbie’s advertisement in Mama’s Lil Guide of two hours or organizing for $99. 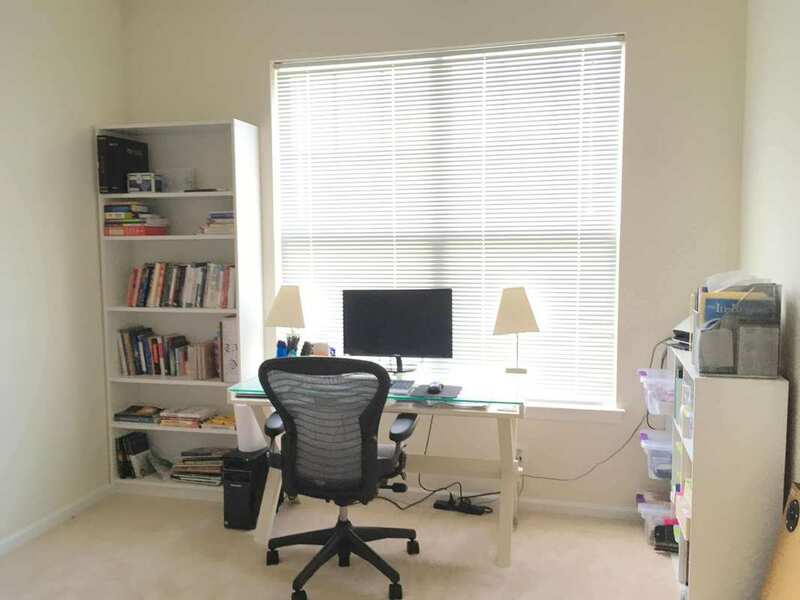 ​She was so pleased with how Bobbie organized her closet and dresser drawers she asked her to come back the next week to help her set up her home office. ​From bedlam to settled and orderly. 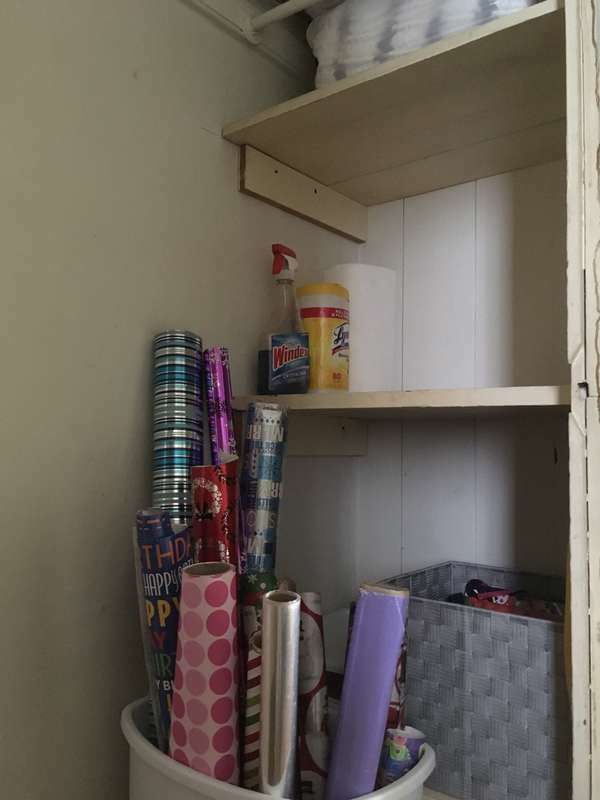 Georgann was frustrated because she loves to entertain but she couldn’t find anything. The solution was very simple. 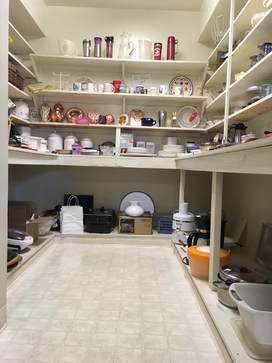 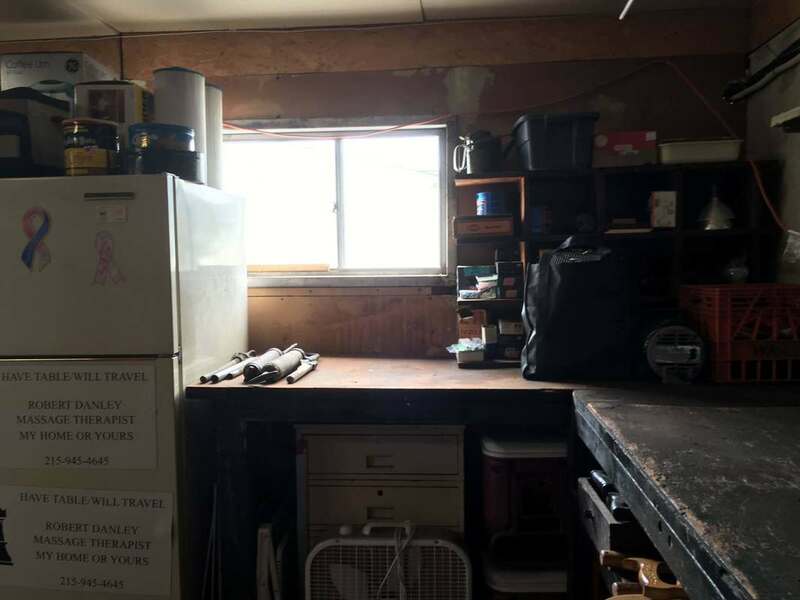 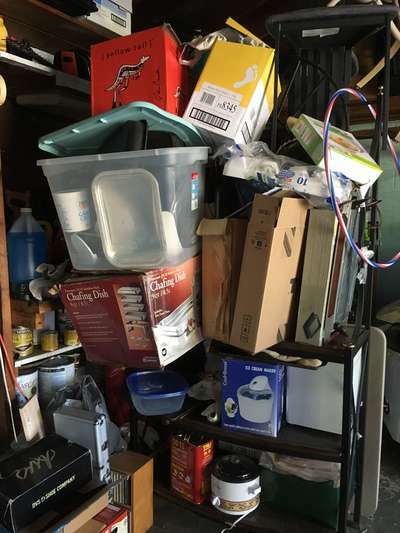 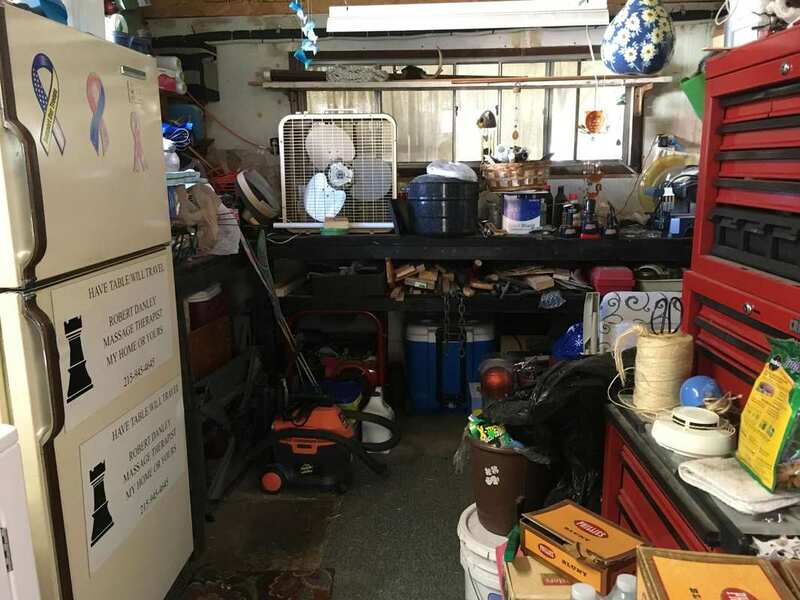 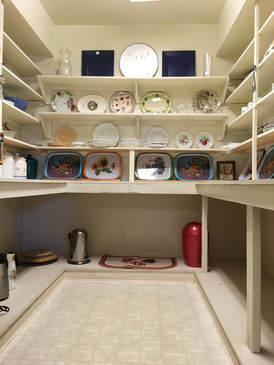 Bobbie suggested that she replace the Baker’s rack in the garage with shelves so she could categorize the items she used for cooking and her serving items. Now Georgann can easily find what she needs. 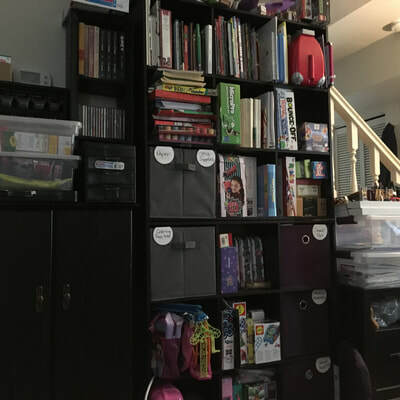 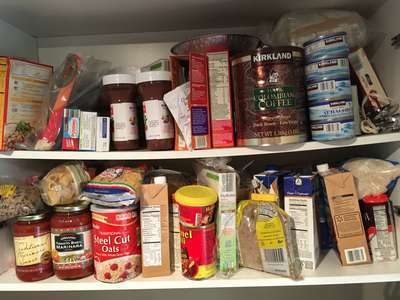 ​Simple Solution: Purchase more shelves so you can categorize like items. 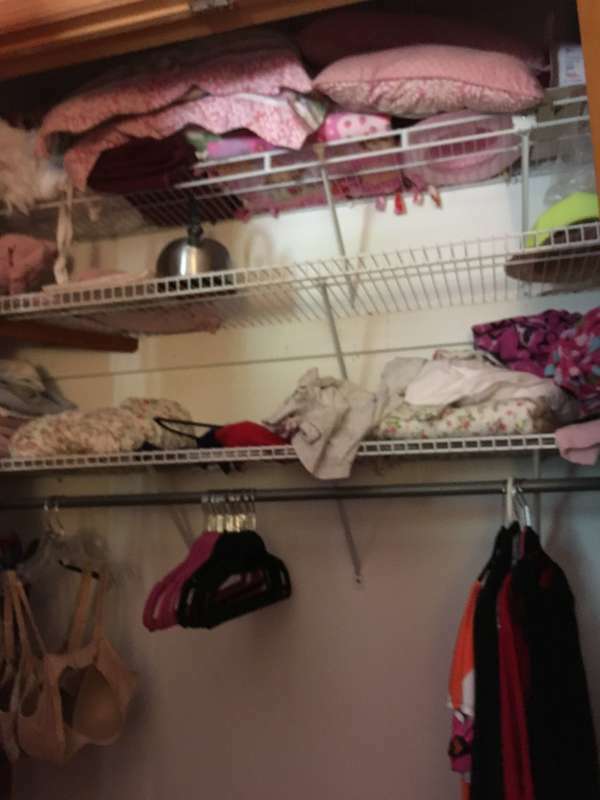 Georgann loves to take advantage of a good bargain. 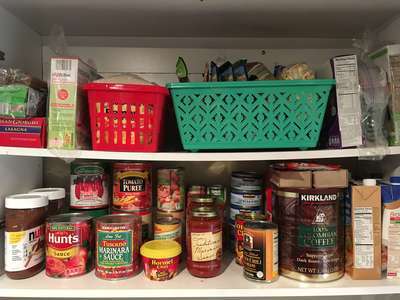 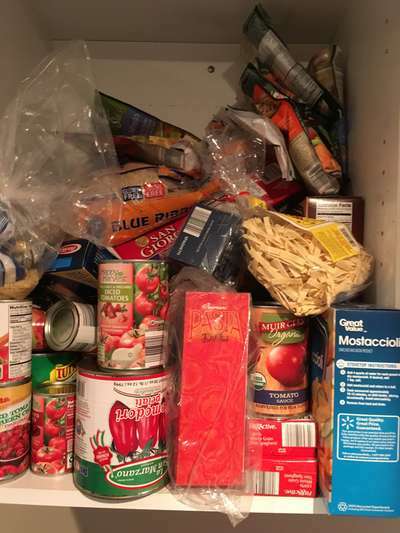 One shelf was bowing severely from the weight of all the canned goods and another shelf broke entirely. Bobbie disposed of a LOT of expired food and now Georgann can quickly and easily take an inventory of what she needs from the market. 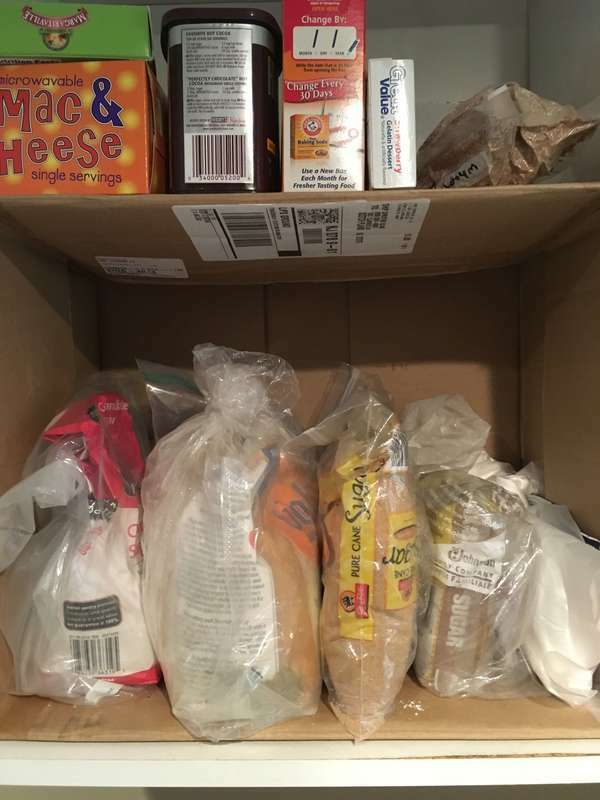 No more wasting money on expired food! 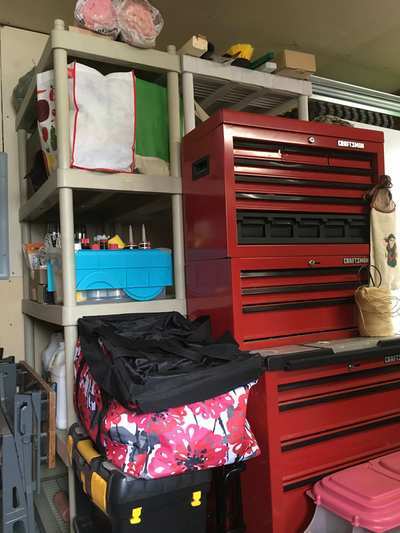 Bob is very handy but he didn’t have any usable space on his work bench or in his shed. 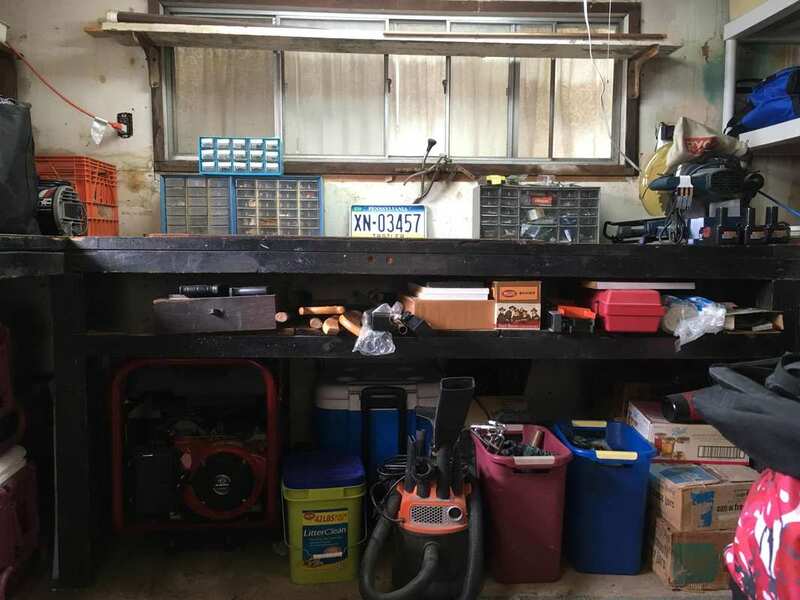 We used his existing shelving to better advantage and now he has two usable work surfaces. 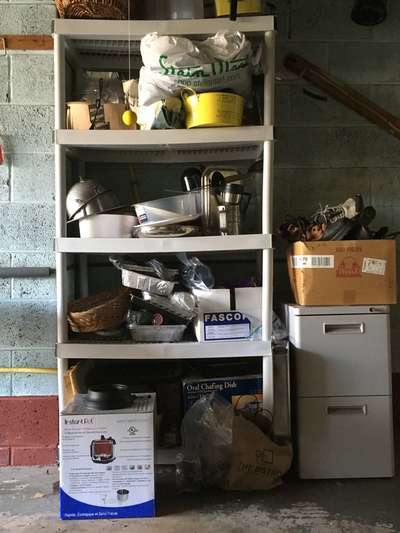 His wife, Irene, has shelves designated for her gardening supplies and they can both find what they need. 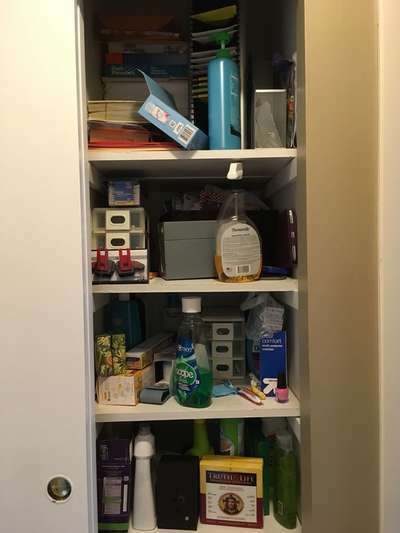 Problem: too much stuff in a small space. 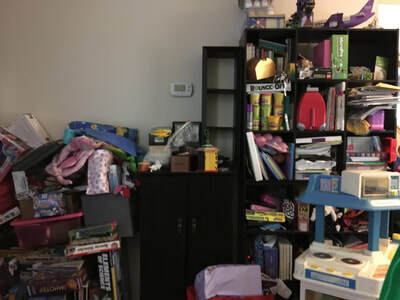 Solution: discard and donate; organize the rest. 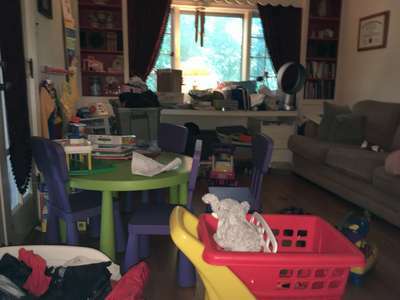 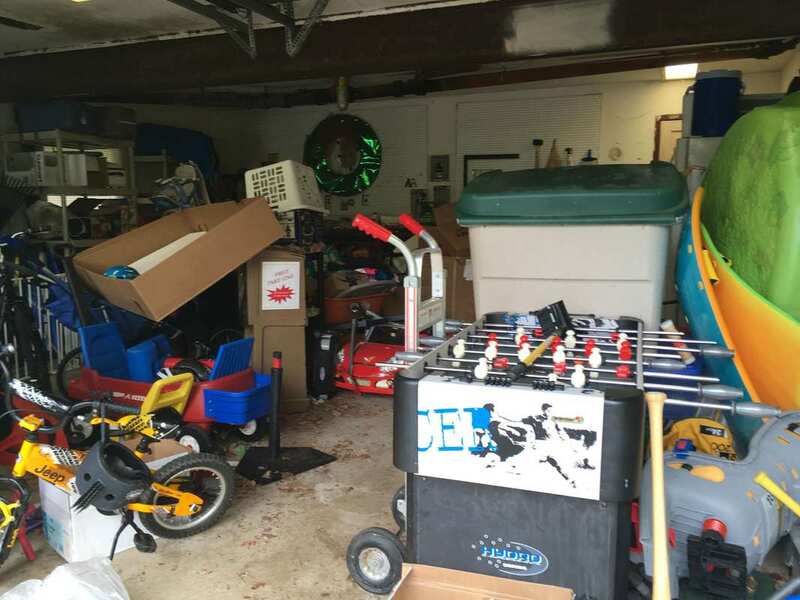 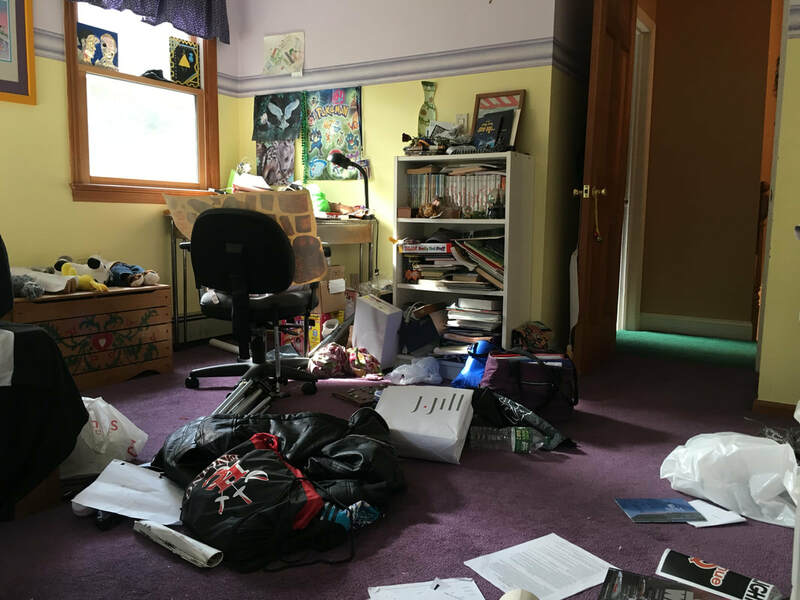 The problem was that Hailey lives in an older home with limited storage and things were not categorized or in containers. 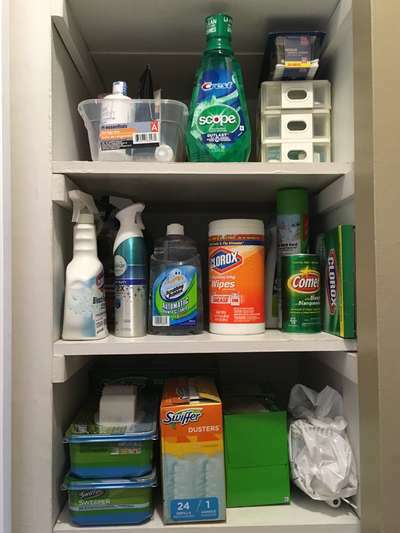 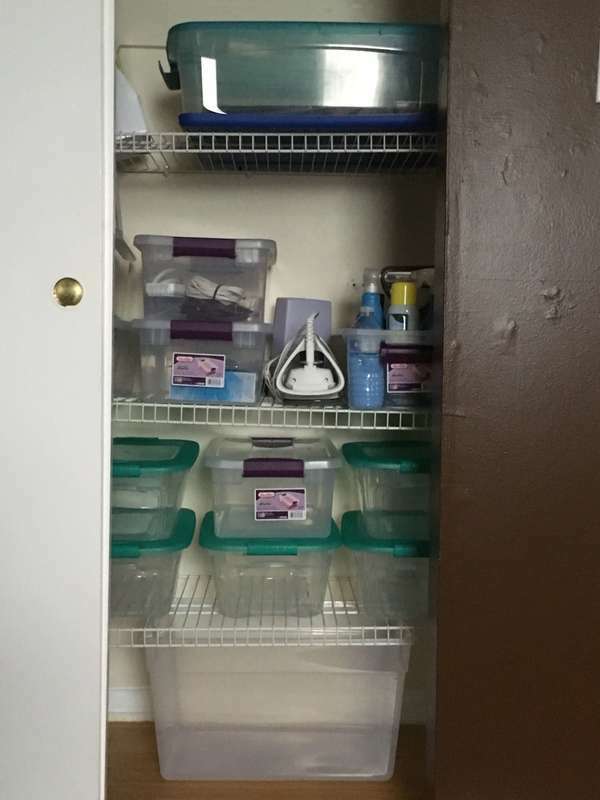 Bobbie helped her categorize cleaning supplies, toiletries and office supplies and organize them in size-appropriate clear plastic containers. 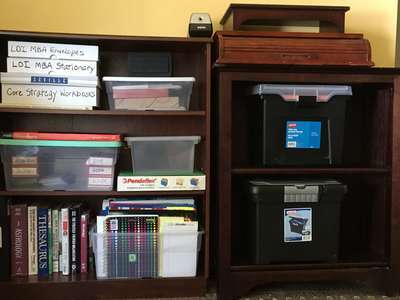 She also helped Linda create a system for processing papers to keep the closets organized. 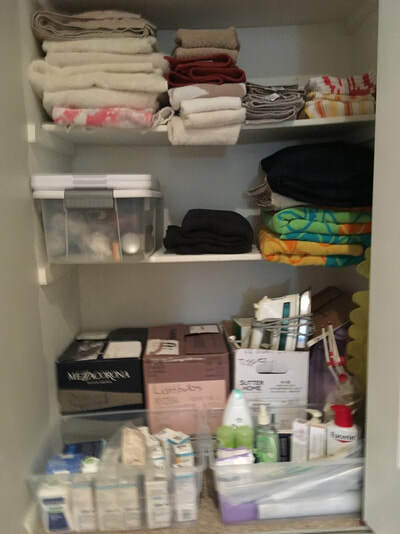 Now Linda knows where to find what she needs and feels much less stressed. Clear plastic containers in a variety of sizes makes organizing easy. 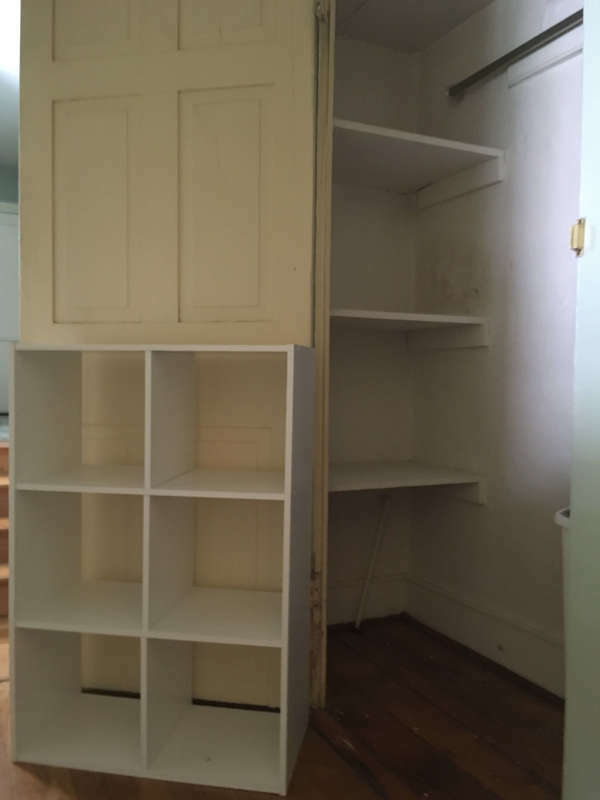 Josephine’s problem was that she has a historic home with very small closets that were overflowing. She discarded and donated almost half of what was in the closets. 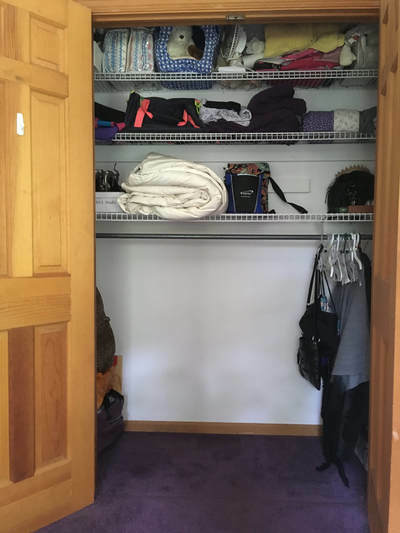 She is thrilled to have empty shelves for items that don’t fit into other closets in her home. 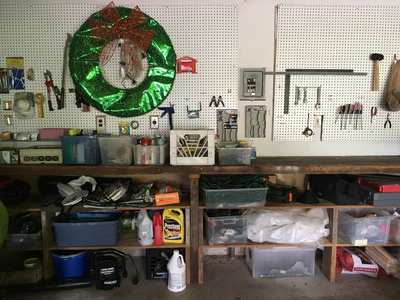 ​The secret is to discard or donate anything you don’t need, don’t want, don’t use. 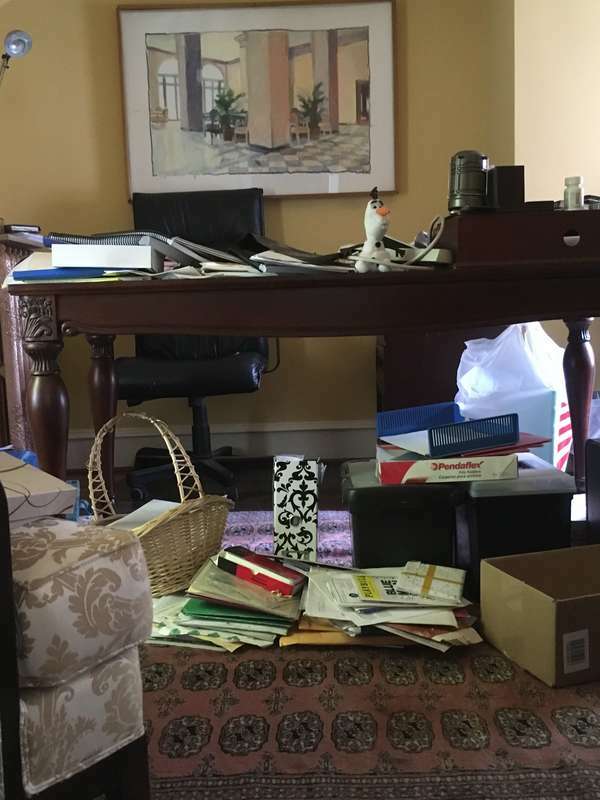 Josephine’s office had gotten out of control because she leads a busy life volunteering for her community and raising a child with special needs. 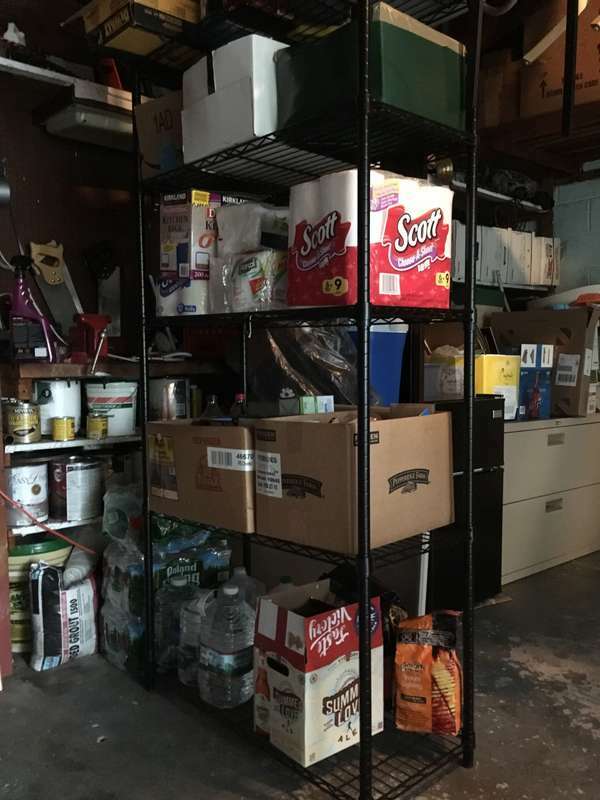 A LOT of paper was recycled and many items were donated or discarded. 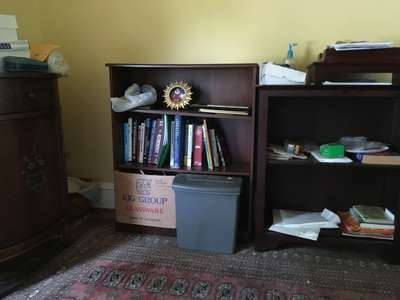 Now she has a “sanctuary” that is peaceful and quiet where she can read and get things accomplished. ​From disorder and disarray to calm and peaceful. 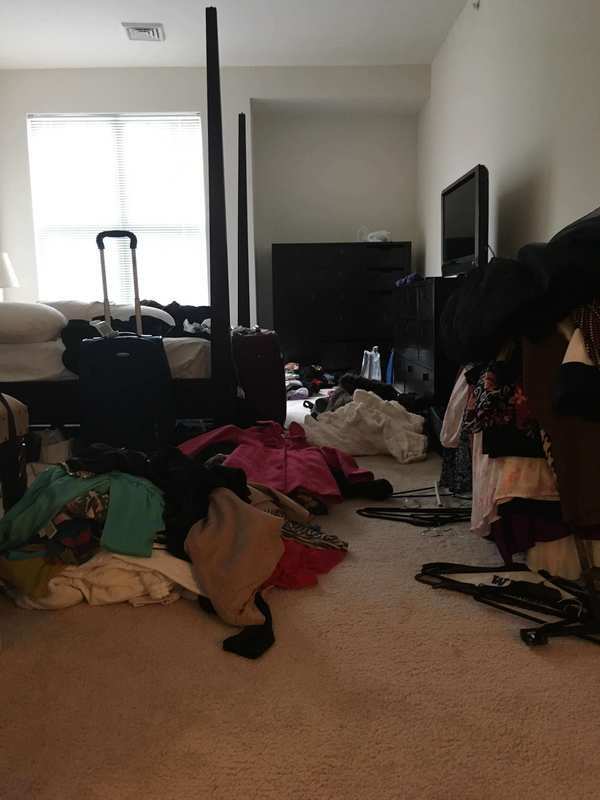 Diane is a successful realtor with a busy lifestyle. She could not find the time to get her basement in order. 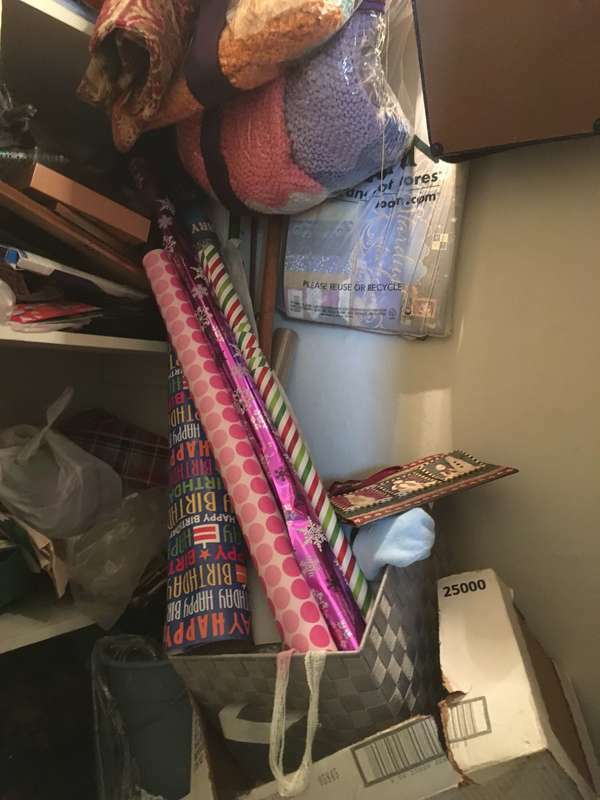 The main problem was that the Christmas decorations, wrapping paper and paper goods for entertaining were all in a jumble. 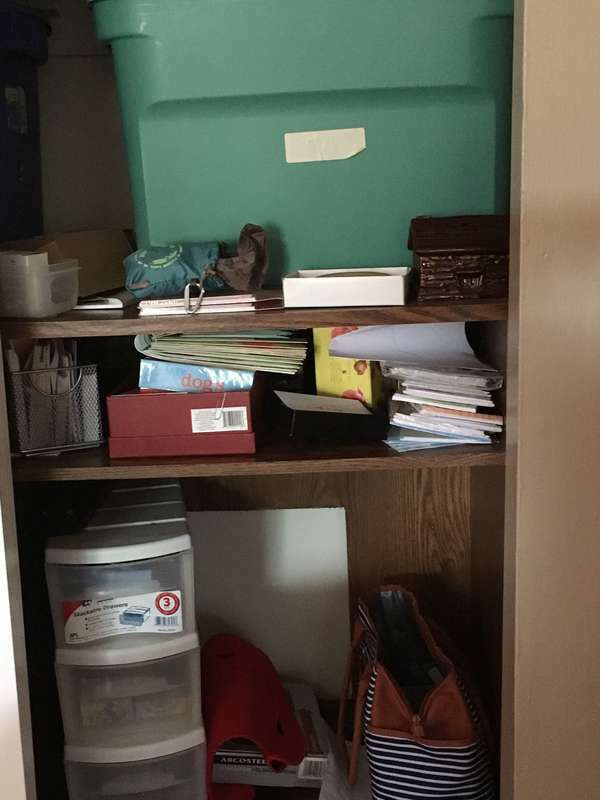 After just two hours everything is accessible and visible and Diane can find what she needs quickly and easily. 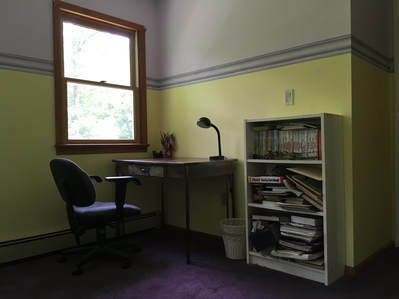 ​Accessibility and visibility are the keys to an organized space. 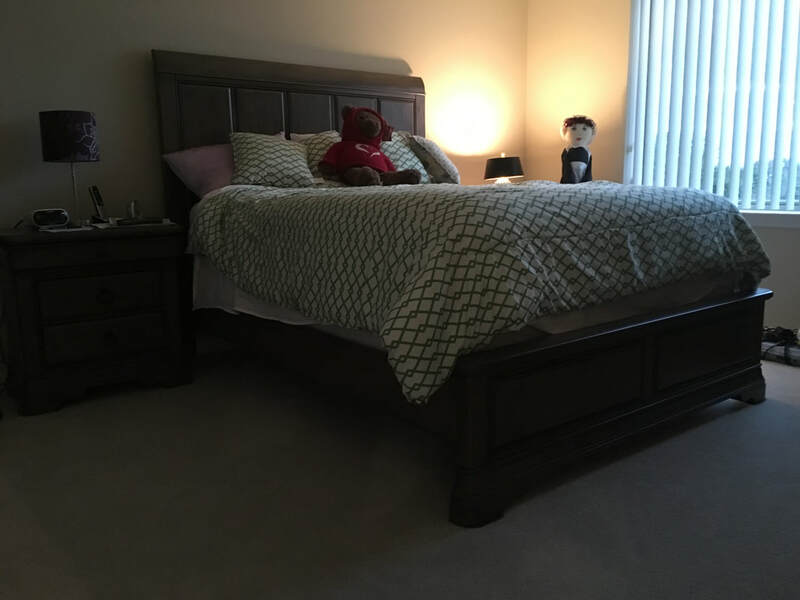 Johanny is a very busy and successful realtor with a large family. 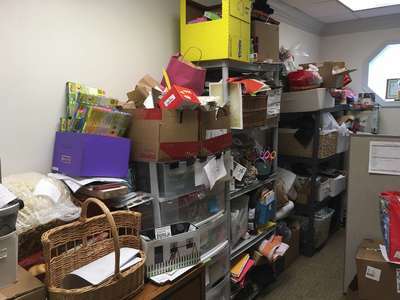 The marketing materials in her office were getting out of hand and the office felt claustrophobic. 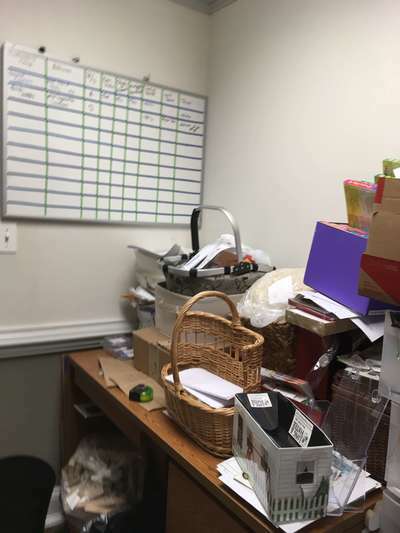 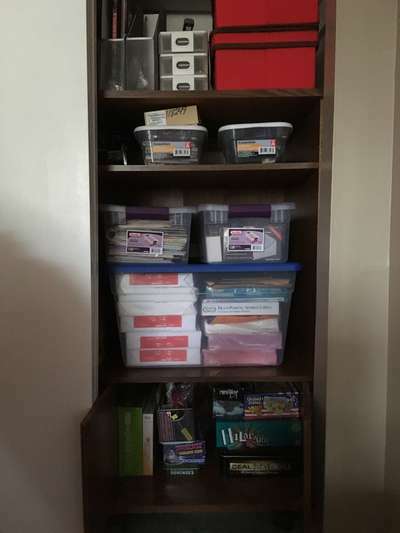 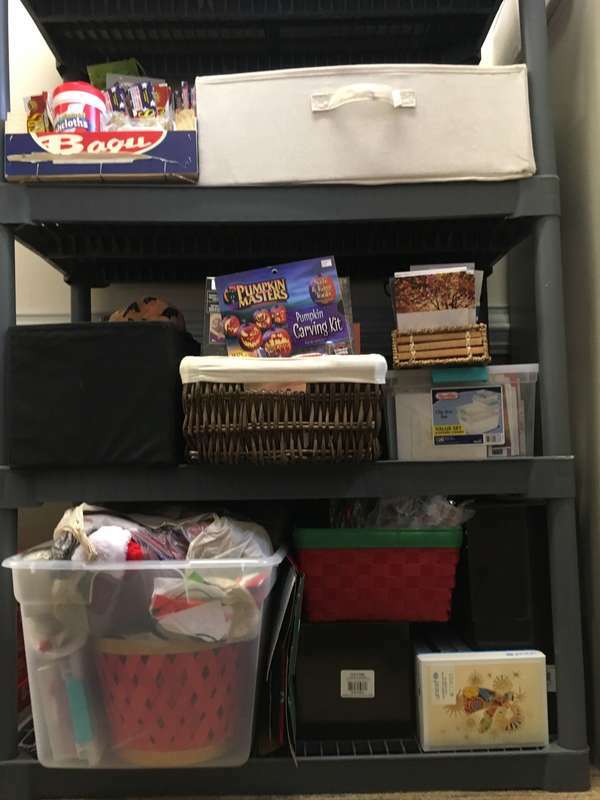 After just 2 ½ hours she reached her goal of having her marketing supplies categorized by season and a usable work surface for assembling her marketing materials. Her office is now more efficient and functional. 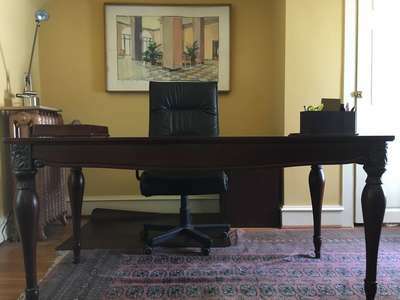 ​An office made more efficient and aesthetically pleasing. Celine’s other daughter, Jennifer has ADD as a single mom with her own business, Celine had given up on organizing Jennifer’s bedroom. 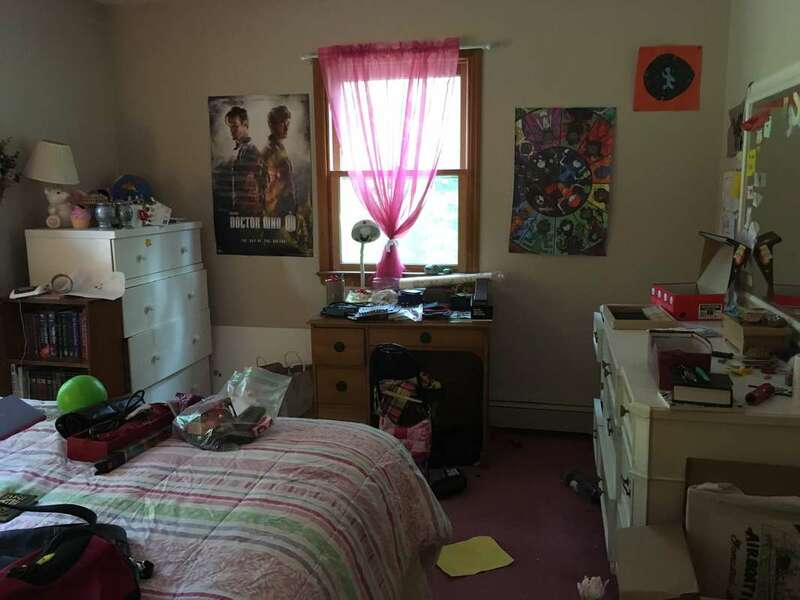 After two hours of hard work Jennifer’s room was transformed from chaos to order. 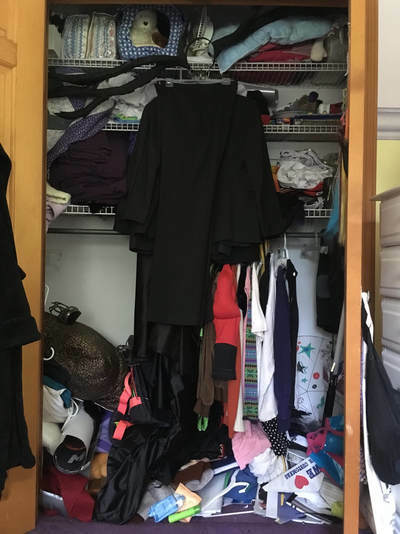 Christine had multiple surgeries in just 3 months and she felt like she was at the breaking point. After her surgeries she was not able to keep up with her two young children and maintain any sense of order in the home. She saw Bobbie’s ad in Mama’s Lil Guide and asked for her help. Bobbie gathered all the unprocessed bills, insurance receipts and school papers for Christine to sort. 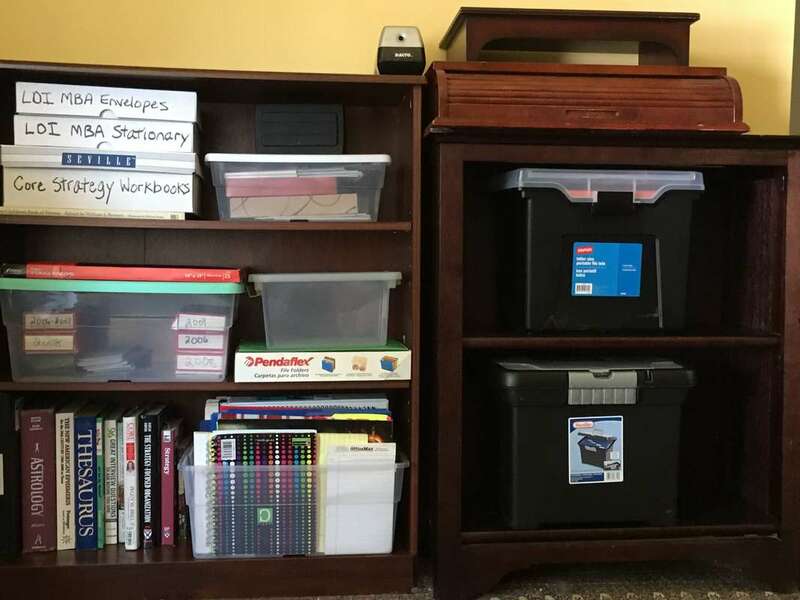 Bobbie worked out a simple system for her to process the papers and put them in childproof clip boxes. 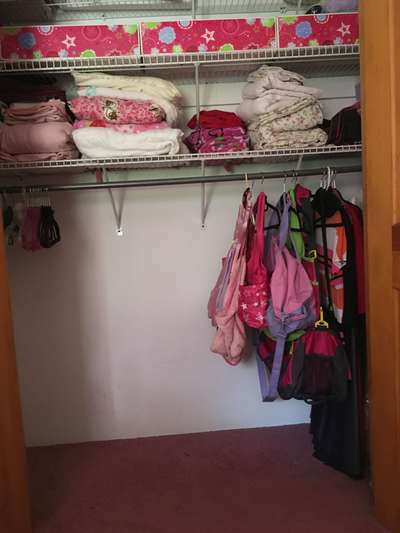 We continue to organize the upstairs before her upcoming third surgery. 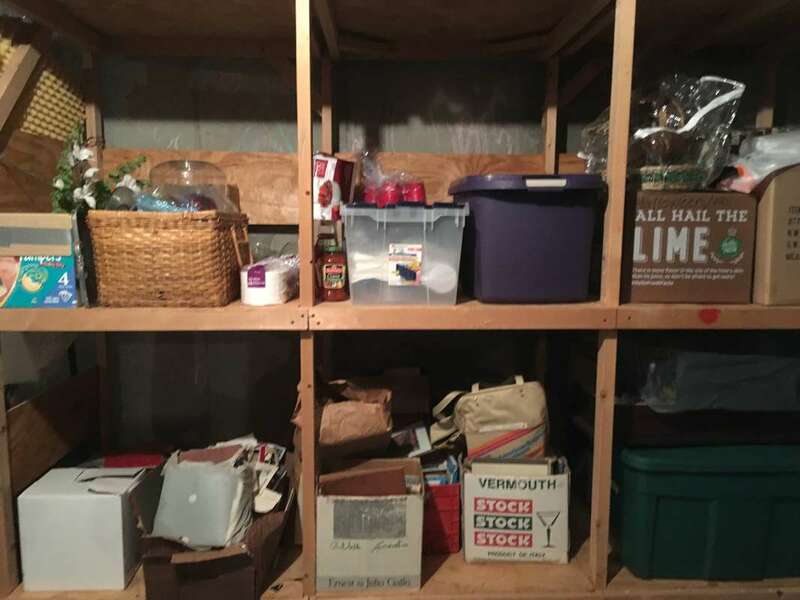 ​Putting your home in order again is the first step in returning order to your life after an extended crisis. Not having room to maneuver with a walker creates the potential for a fall and can also be a fire hazard. 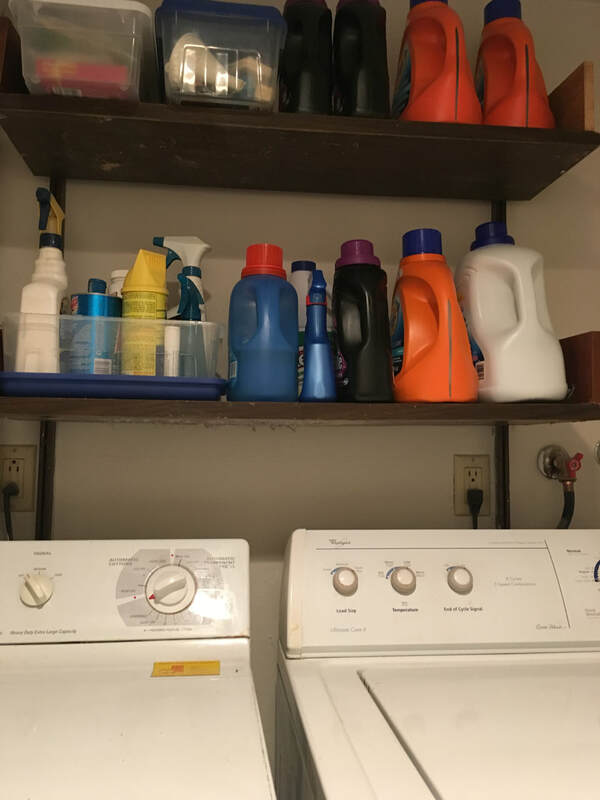 So You Can Keep Up! 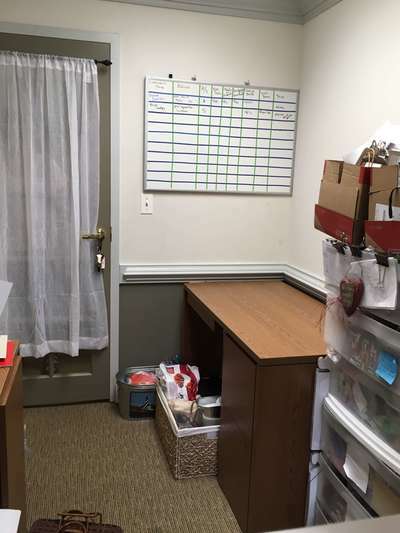 Contact Bobbie to schedule your 30 minute Consultation today.